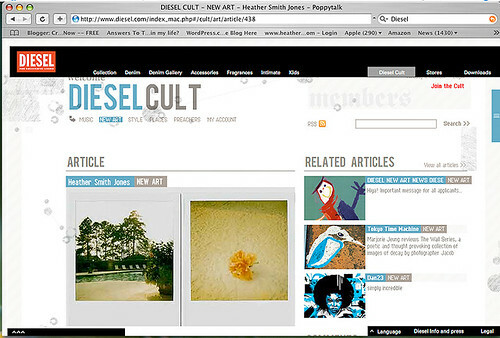 With thanks to Jan at Poppytalk, my work is featured in NEW ART on DIESEL.com. The article shows three images, two of my pinhole works and one is a selection from the AUGUST POLAROID PROJECT. I tell you, there are some kind and considerate people out there!